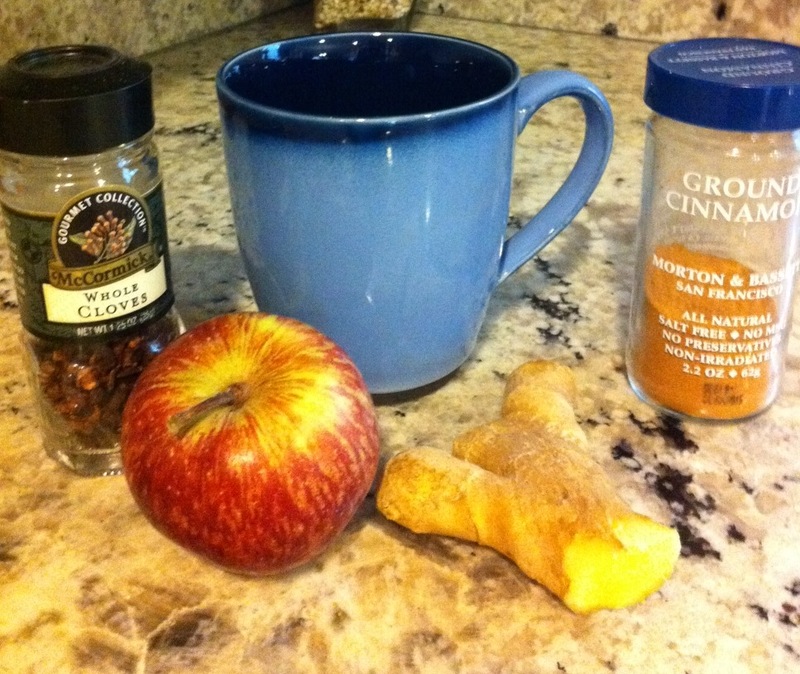 Spiced apple cider is such a classic holiday beverage. It tastes great, makes the whole house smell good…but did you know that 1 cup of this stuff contains close to 30 grams of sugar?! Ouch. That’s not very helpful for maintaining balanced blood sugar, a strong immune system or a trim waistline. Using the recipe for fresh ginger tea from local Ayurvedic chef Talya Lutzker’s cookbook as a base, I came up with a delicious and healthy alternative to traditional spiced apple cider. Bring all ingredients to a simmer in a medium pot for 15 minutes. 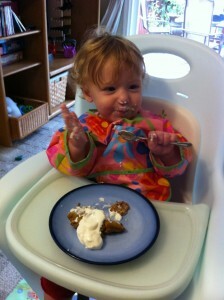 Serve in small mugs (serves 4). Add ghee and stir well. The ghee gives it fuller body and sweetens it slightly. For additional sweetness, add a teaspoon of raw honey to your mug. Adding a teaspoon of raw honey only adds 4 grams of sugar, a dramatic difference to other ciders. 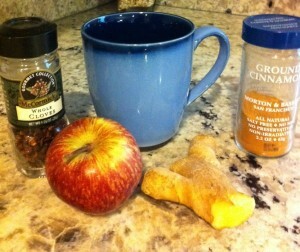 Witch’s Brew is also great for strengthening digestion (ginger and cinnamon). If cooking really isn’t your thing and you’d still like to enjoy a low-sugar holiday beverage, New Leaf Community Markets has several comparable options at their juice bar/cafe including a chai (a water rather than tea-based chai, which tastes similar to the Witch’s Brew). 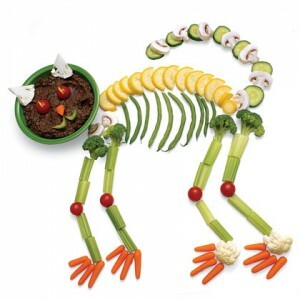 Not sure what to make for your next Halloween party? Here are 10 themed ideas that are healthy, tasty and will get everyone in the holiday spirit. 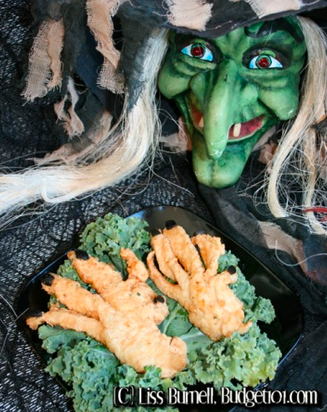 Gnarled witches hands: 1 T olive oil, 4 free-range boneless and skinless chicken breasts, 1 cup almond flour, 1 egg beaten, pitted black olives halved lengthwise, and shredded lettuce. Preparation: Grease cookie sheet with oil, set aside. Carefully cut chicken breasts part way to create five fingers (the uncut part will be the palm of the hand). Dip in beaten egg and then almond meal. Broil 5 minutes on each side till golden brown and cooked through. Trim the fingertips with the halved black olives and serve on lettuce. Monster fingers and goblin goo: Using cream cheese, hummus, or even nut butter as “glue”, attach items that look like fingernails onto your favorite sliced veggies or cheese sticks (ex: cranberries on jicama sticks, almonds on carrots, and olives on celery). Use mashed up avocado for dip or add a couple drops of natural green food coloring to organic ranch dressing (crushed chlorella or liquid chlorophyll works well and is available at health food stores such as Way of Life, New Leaf, Herb Room, Staff of Life or Whole Foods). 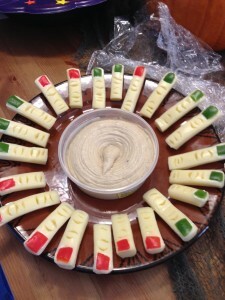 Leeches on a log: Celery sticks with nut butter and raisins (ants on a log with a spookier name). 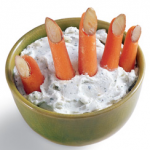 Spider web dip: Layered bean dip with sour cream piping to make it look like a web. 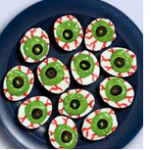 Bloody eyeballs: Deviled eggs with olive in center and tomato sauce drawn blood vessels to look like they are bloodshot (put tomato sauce in plastic bag and cut the tip off the corner so you can draw with the sauce). For a more gourmet recipe, click here. You can also just used mashed avocado in the center of the eggs with an olive center for a “Moldy eyeball” dish instead. Mummy meatloaf: Your favorite meatloaf recipe shaped like a mummy with a thin layer of either mashed cauliflower, mashed potatoes, or Swiss cheese, and olives for eyes. 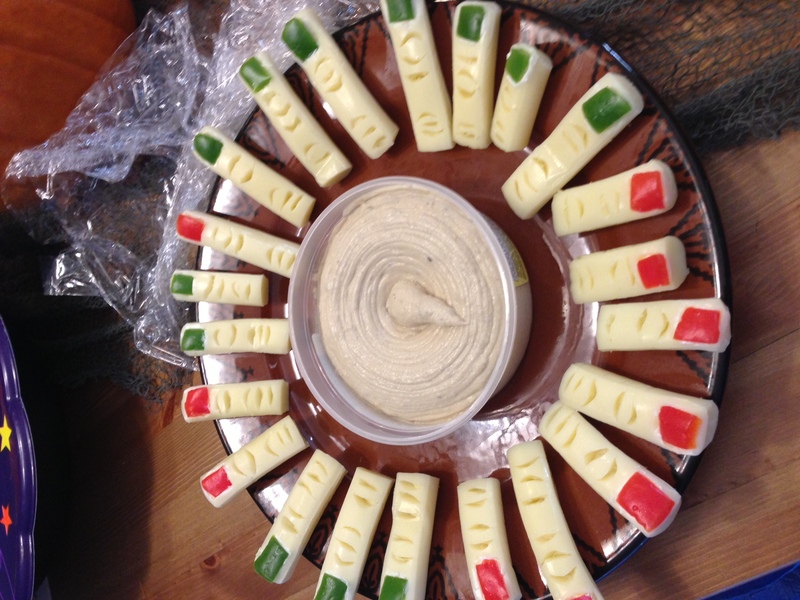 String cheese and bell pepper with artichoke/kalamata hummus. Yum! 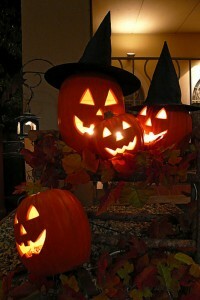 Witch’s soup: Serve any soup you want in a pumpkin (ex: beef and veggie, creamy tomato, or butternut squash). I came up with this delicious combo recently. It’s low carb, high protein, healthy fat, full of antioxidants and easy to customize! 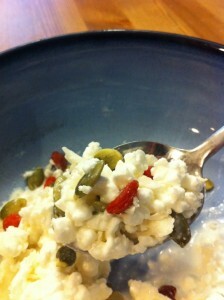 Combine about half a cup of full-fat organic cottage cheese with 1 or more tablespoons of coconut butter, and a handful each of pumpkin seeds and goji berries in a bowl. Perhaps I was feeling nostalgic–the white cottage cheese and coconut butter, green pumpkin seeds and red goji berries…looks like Christmas. Mix all ingredients in a large bowl. 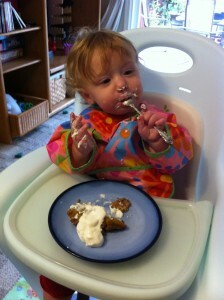 Pour into glass pie dish and bake at 350 for 35 mins (center should be just slightly jiggly). Let cool before serving. 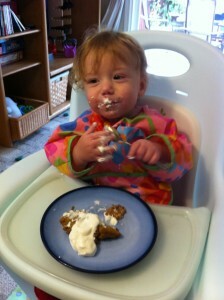 Delicious warm or cold…and especially great with fresh whipped cream or whipped coconut cream! Watch the Nutritious Delicious cooking video here. Let’s face it, for many people, Halloween is all about the candy. Rather than arguing why sugar should be avoided, the focus of this article is to arm you with the best choices for healthier Halloween candy. Endangered species bug bites– bite-sized organic chocolates. Available at New Leaf, Whole Foods and online. Click here for a candy comparison of 40 candies listed from lowest to highest sugar content. Now is the time to decide what you’re going to hand out this Halloween (and what you want to have leftover in the house). Choosing a healthier alternative may mean the difference between your treat being enjoyed by someone rather than being bought by the parents/dentist and donated to the dumpster.